I did it. 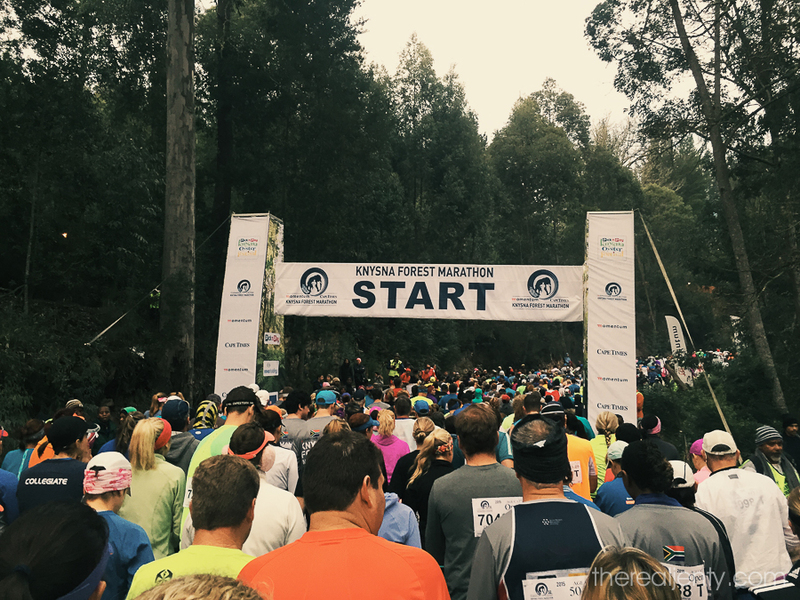 I ran the Knysna half marathon… and it was really tough! It didn’t help that I ran with a dodgy ITB knee and a head cold, but it’s done. 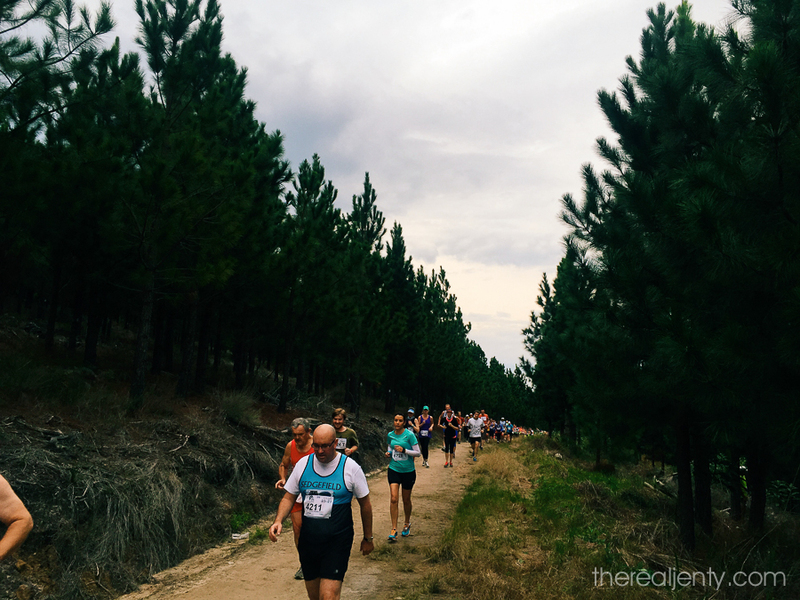 Nothing, just absolutely nothing can prepare you for that downhill from 14km through the Simola estate… just nothing. I’d heard it was steep, and had seen the profile, but my oath it was INSANE! I ended up walking down BACKWARDS to save what was left of my knees!! It is a crazy crazy crazy hill! Other than that it was an absolutely amazing experience. 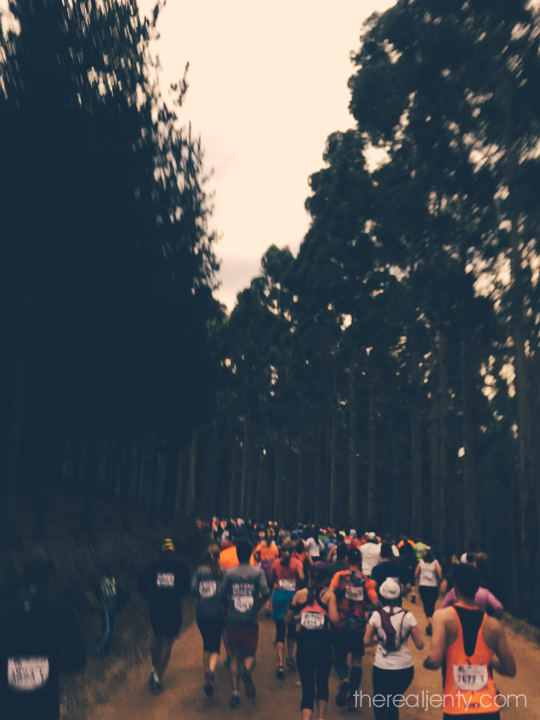 The race was so well organised, and the entire thing is an experience second to none. 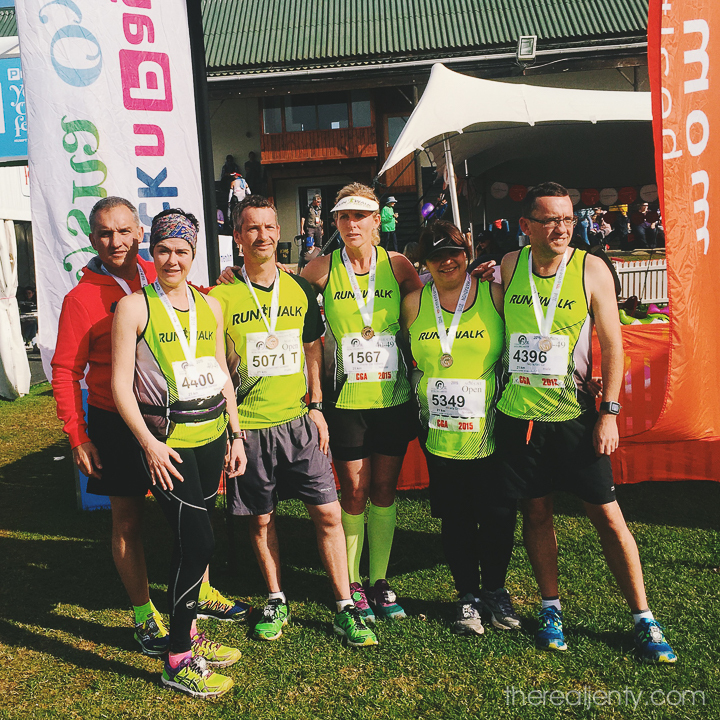 It was awesome that there were so many of us from Run Walk for Life (and Samantha my running race buddy) that travelled to Knysna for the race. 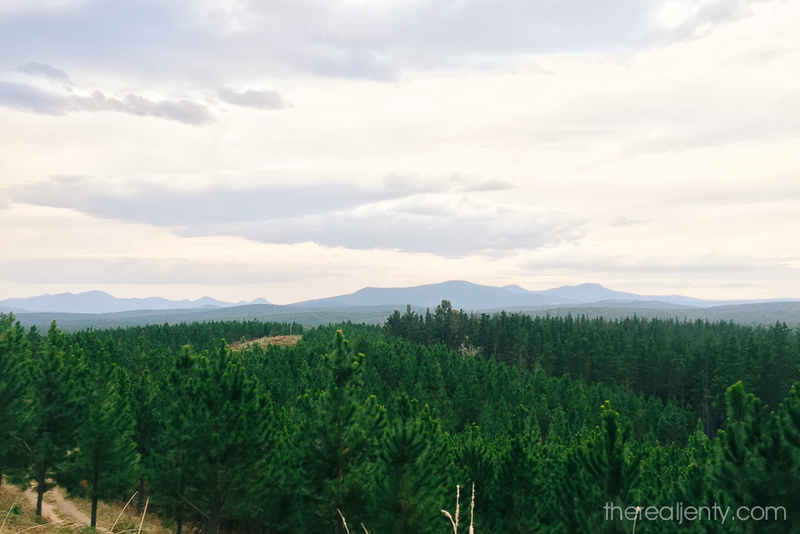 We got up really really early, because we’d heard that the traffic would be crazy through Knysna. After parking our cars, we walked up the hill to the taxi stop where we were whisked away up the hill into the forest. I wish I’d taken a photo of all the taxis lined up waiting for the runners to arrive. It was something to see… they must’ve used every taxi available in the surrounding area… I thought it was awesome that the entire community got involved in this race and got some income from the race! And if you’re wondering what type of taxi… I’m talking the taxis that we generally complain about daily! 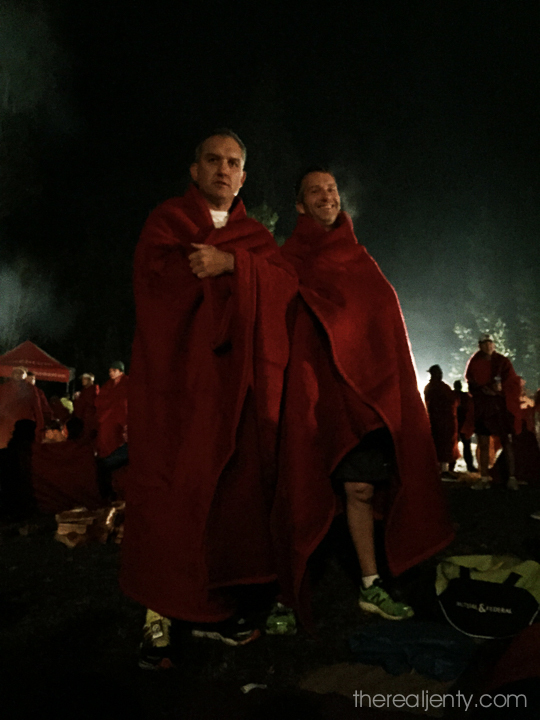 Then at the top of the hill just before you walked into the forest, the first 2000 runners got given blankets to ward off the icy cold. We were there so early so each got a blanket. 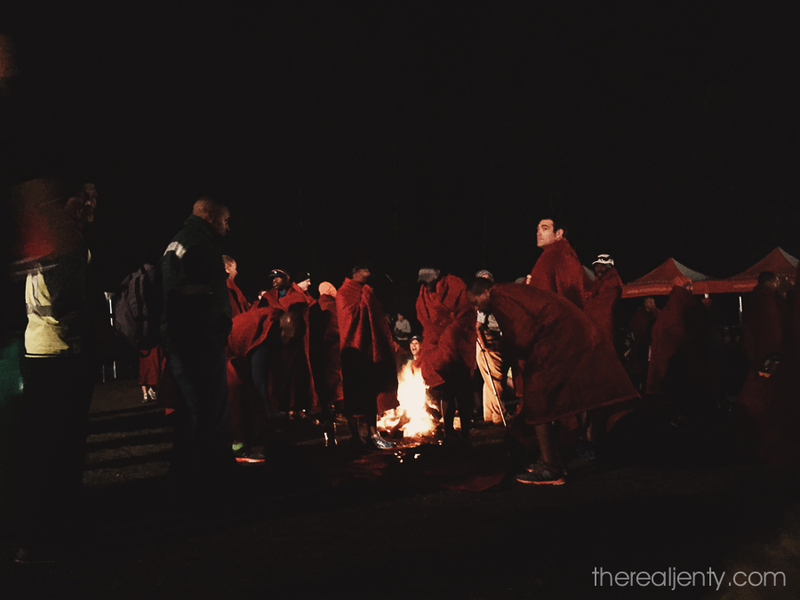 The blankets were a lifesaver. It was freezing! 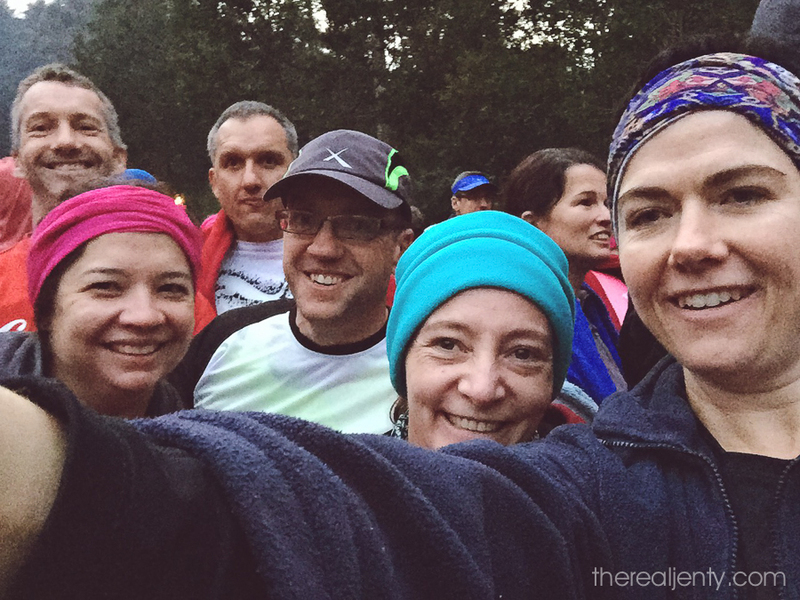 I needed it even though I was wearing long running pants, a long running top and a thick jacket (I donated the jacket and the blanket as we started running). 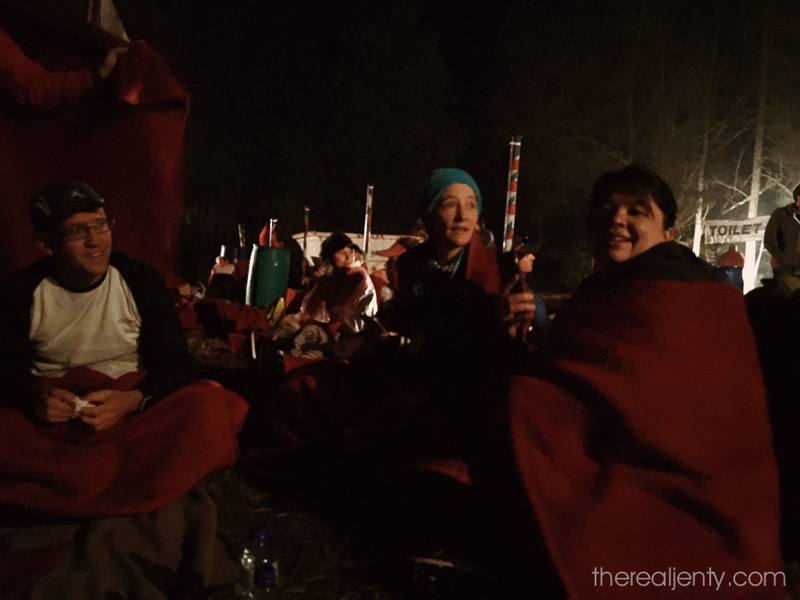 The forest was lit with fires, and there was a clearing close by with coffee, tea and hot chocolate on tap… as well as fruit, energy bars, joghurts and loads of waters and energy drinks… to keep us going before the race started. Hats off to the sponsors for the amazing organisation! It took more than 5 minutes for us to cross the start line after the gun went off. And there were thousands of people behind us too. Samantha and I ran together for a few km’s before she sped on ahead, I knew my knee wouldn’t cope if I carried on at her pace. So I took my time, and enjoyed my race 🙂 and forgot about getting a good time… and saved my knee. Some of the roads we ran on were pretty wide, but as you can see in the photos, they got pretty narrow. In some places they were muddy and slushy and you got a little boxed in because of the width of the path. I think this is my favourite photo… you can almost see how narrow the path is that the runners are on… because there are no more than 2 runners next to each other. Anyway, after the dirt tracks, we ended up at the top of the Simola hill, and started the awful descent. The less said about that the better, although I do regret not stopping to take a photo there! Ooh but before I forget… we saw elephant dung!! Seriously, or rather, that’s what we all think it was. 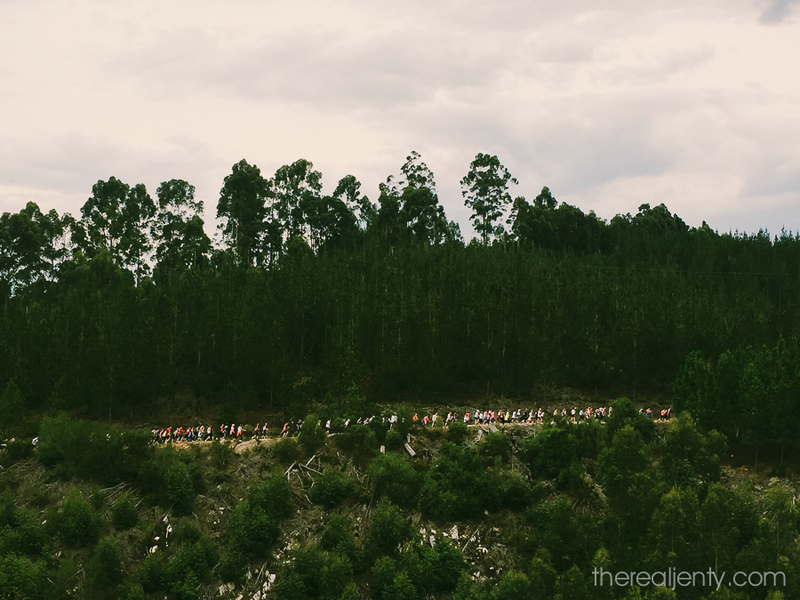 Just before Simola, on the Old Cape Road, we all had to dodge the landmines in the road. Jonathan was convinced the mounds of dung were planted… but really, who would plant elephant dung in the middle of nowhere just for effect? The best water stop by far was the one at the bottom of the hill… they had orange slices! My word, you have NO idea how good they tasted. We all commented on how wonderful they were. After that, I was OK again, and managed to run the last 5km’s to the finish line. The question is… would I do it again? That afternoon I was adamant I wouldn’t ever try that again. Now, after a few days of rest, and contemplation about the run, I think I would like to… but only if I sort my knee out and do massive amounts of hill training so that I’m not in so much pain going down that godforsaken hill. And this is us after the race 🙂 medals and all! I’m sure Hilary will blog about her race soon, so keep checking her blog… she was amazing… and I was in tears when she crossed the finish line (but that’s her story to tell not mine). Well done, whoooooop! Haha, the elephant dung was there the year I did the race too (2009) – planted by some old toppies of Simola 😉 . There are some monster hills in Pretoria used for the sunrise monster race. Though I doubt it will be same since the Kynsna was is through a forest. Nice! I’m so going to be there next year!